Some iPhone 7 and iPhone 7 Plus users have discovered their wonderful camera freezes on open and randomly does not work. When this happens it’s quite obvious; the user attempts to open the Camera either from the lock screen or the Camera app directly, and instead of having access to the camera, either a stuck blank black screen will show up on the camera display or a blurred image will show up on the camera display, and the iPhone is unable to take any picture or video. Given that most iPhone users rely on it as their primary camera, and the emphasis Apple continuously places on using the iPhone as a camera for all of your photography needs, this is a pretty annoying bug. While there is no great way to resolve this problem, there is a rather blunt-force solution to fix the stuck iPhone 7 camera issue. Yes, a forced restart is a decidedly low-tech solution but it works. Unfortunately simply quitting the camera app is not sufficient, you must reboot the iPhone 7 or iPhone 7 Plus to get the camera to function reliably again. Once the iPhone boots up again as normal, access the camera and it will work as intended (for a while anyway, it may randomly freeze up again and require another restart down the road). This is more of a temporary workaround than a true fix since it can happen again, so perhaps a future iOS update will permanently fix the issue. The iPhone 7 freezing camera issue a well documented problem on YouTube and throughout various discussion forums on Apple support site and elsewhere on the web (1, 2, 3, 4, etc). Oddly enough, release notes in iOS 10.1 noted a bug fix for a similar camera app issue, but the bug persists in the latest versions of iOS including iOS 10.2 and 10.2.1 for some iPhone 7 and iPhone 7 Plus users. It’s likely the freezing camera issue will be fixed once and for all in a future iOS software update for iPhone 7 and iPhone 7 Plus users, since it is probably software related and not a hardware problem. As always, be sure to keep your iOS devices updated to the latest software versions to receive these bug fixes. You can update iOS system software on an iPhone in the Settings app > General > Software Update. Since almost all iPhone 7 and iPhone 7 Plus owners likely have their devices under warranty, another option is to contact official Apple Support and let see if they can offer a more permanent solution. 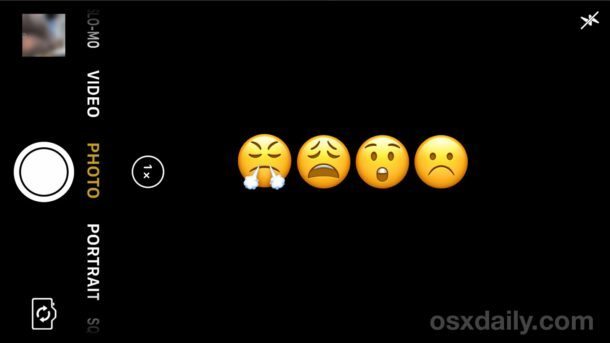 Some reports online indicate Apple has swapped out cameras or the entire devices if the issue persists for some users, so if you frequently encounter the problem you may want to go that route. Have you experienced the frozen camera issue? Did this work for you? Do you have another solution to resolve the frozen camera problem on iPhone 7? Let us know in the comments. The stuck/dead camera is a known problem with iPhone 7 Plus. I recommend getting your iPhone swapped out while it is under warranty. Contact Apple or make a Genius appointment at a store near to you. It’s not just the 7s that freeze. My 6S has done this at least 3 times. A normal shutdown and restart does correct the problem but it sure is annoying when I want to take a picture NOW. I agree, it’s very annoying. I think it’s a software problem with iOS, the camera is buggy but so is the entire iOS. Frustrating. My wife experienced this with her iPhone 6. Reboot seems to be the only fix. 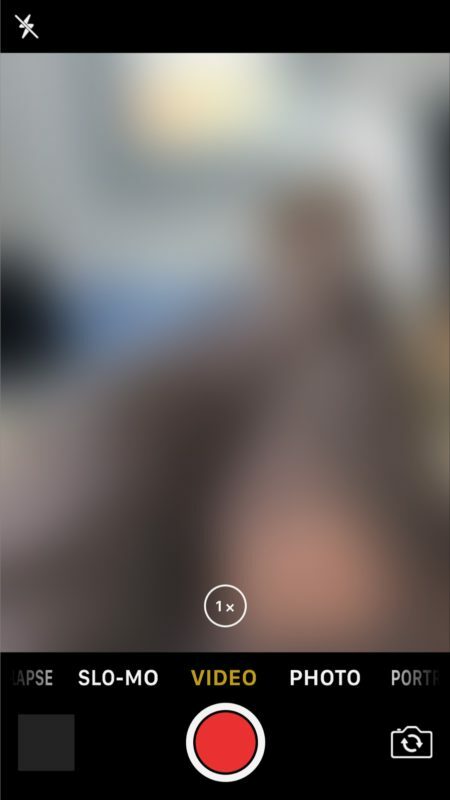 Same here – iPhone 6 often has freezing issues or starts out with a wacky half camera/half home screen for a few seconds while it tries to boot the camera app. Yes my iPhone 7 was doing it frequently, sent it to an authorised Apple repairer & they replaced the camera but at the same time destroyed the home button requiring the phone sent to Apple to have the screen replaced, know since I received it back I’m experiencing microphone issues where the other caller is saying my voice is fading in & out, wishing know i never bouught the 7 & stayed with the 6. Press and hold Sleep/Wake until you see slide to power off. Press and hold the home button until you’re returned to the home screen. This should solve the problem in most cases without needing a two-finger reset. so i am taking photos by using different photography apps … wen i open it in some photography app then it works well. I had the same issue after replacing the screen on an iPhone 7 plus. After trying every possible reset, I opened the phone again, and it turned out that the ribbon cable to the back camera was slightly loose. After securing the ribbon cable, everything was working fine. I have this very exact issues. Camera just working on slow-mo and panoramic. Are you saying the issue is just because de ribbon cable was slightly loose? Happened to me again on iPhone 7 Plus yesterday, so annoying. New iPhone, new iOS. Does anyone at Apple use this stuff? Happens frequently. It’s super annoying because I want to quickly take a quick photo and by the time I’ve rebooted the iPhone the moment has gone, or people have laughed off my iPhone and got me to take the group photo with their phone while giving me a lecture on the benefits of Android. It’s ridiculous. My husband refuses to update his iPhone to OS10.x until this is resolved. I’m having the same issue with 7plus. The reboot was unsuccessful. None of the listed solutions have worked for my phone. No luck with reboot. Running iOS 10.3.1. Camera worked great at Att store. Froze as soon as left for vacation. Very frustrating. So I’ve tried every solution I can find online….. it works for a pic, maybe! And then back to frozen nothing….. It happened once with my iPhone 7. I did not restart the phone but instead force close all the background apps and the camera started working. Could be a problem with less RAM availability? Don’t know. I had trouble with my camera on my Iphone 7; black & blurry. Tried all advices I found on internet, nothing worked. Finally I send it in for repair, and 5 days later I received a brand new Iphone. My camera is not working. I am getting a black screen. I have tried to reboot but am not having success. This is extremely annoying and inconvenient. If this is an ongoing problem, there should be some sort of recall. I do not want to take time out of my day to go to the Apple Store which is 30 minutes from my house. I also do not want a temporary fix not knowing whether a replacement phone is going to have the same issue. The likelihood of redundancy seems to be probable. I use my phone as my primary camera and am missing out on capturing memorable life events because of this malfunctioning camera that I PAID for!!!! SAME PROB HERE. I PHONE 7 PLUS BACK CAMERA DISPLAYS BLACK SCREEN. FRONT CAM WORKING FINE. IT SAYS PHONE NEEDS TO COOL DOWN ETC…BEFORE I HEAD TO APPLE SERVICE CENTER I NEED TO BACK UP MY PHOTOS IN ICLOUDS AND IT TAKES FOREVER TO SAVE PHOTOS… SO TIME WASTING..
PLS COME BACK STEVE JOBS! DISAPPOINTED WITH AN OVER EXPENSIVE PHONE. The actual easy fix is one I guess I discovered myself and nobody else knows about yet! Just switch the camera to “Video” mode and then back to “Camera” mode. You just click on the word Video above and to the left of the shutter button on the screen and then back to Photo to its right. It takes almost one second and yes it’s a huge pain but it’s a thousand times faster and easier than restarting the phone and it works just as well. You’re welcome! John – I, as I’m sure many, have tried that MANY times and that does not resolve the issue. It’s a nice suggestion but unfortunately there is more going on here than that simple fix will fix. And. My warranty just expired few days. I have the same problem.the camera is not working all black.I tried to reboot but not working and it’s also written that I need to cool down the flash.Any idea on how to do possible fix?I have no time to go to iPhone store…It is disappointing as I had been an IPhone user. I am having a similar issue with my iPhone 8 plus. 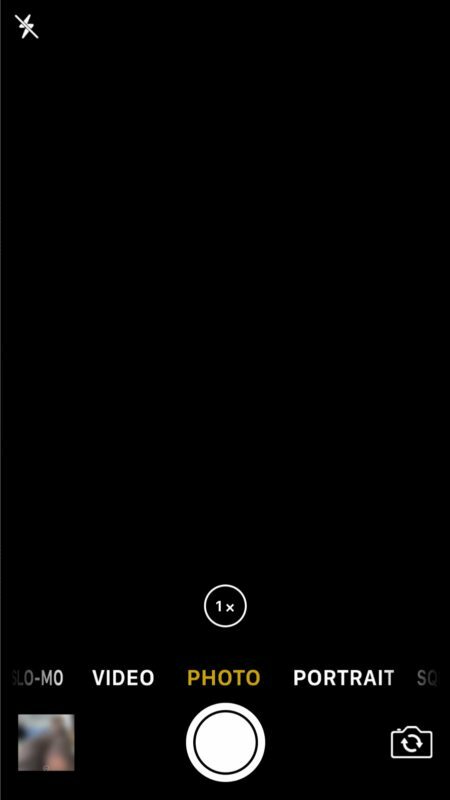 When I hit the capture image button the entire screen goes blank; and the phone freezes.. Can anyone help? Same problem w/7+. I’ll try the easy video/camera fix first. Thanks. I’m an artist. I use the camera to capture source material. So very annoying. I have an iphone 6 running ios 11.2.6. The camera has has stopped working altogether. As per the instructions from the gurus at the Apple Genius Bar, I have reset the phone numerous times and even reinstalled the operating system – all without success. The camera simply will not work. All I get is a black screen. Strangely enough, the Apples guys ran a diagnostic on my phone and said that it was a software issue not a hardware issue. I have scoured the net looking for answers but am yet to find a solution. I chatted with Apple support and they insisted it was a hardware problem. I downloaded a camera app called Tadaa. The camera works every time. The problem is a software issue. If it were a hardware issue the camera would have problems in any app.